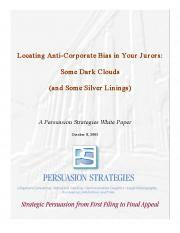 Persuasion in civil litigation is one thing. 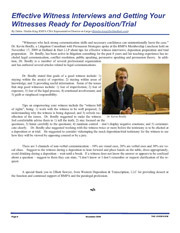 Persuasion in patent litigation is quite another. In Patently Persuasive, Karen Lisko and Kevin Boully address persuasion common patent litigation challenges stemming from unique and changing facets of patent law coupled with the complexities of most patent cases. 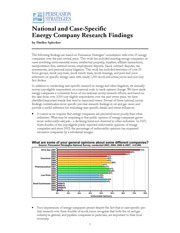 Those challenges impact decisions and strategies you apply from discovery through verdict. 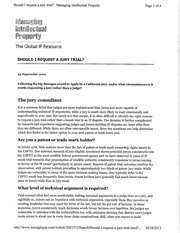 Drawing upon our research with hundreds of actual and mock jurors as well as mock and actual judges and arbitrators over the past 20+ years, and upon our extensive strategy consultation on patent cases, we discuss important realities of persuading your fact finder in patent litigation. 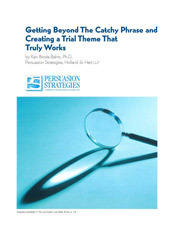 Ranging from persuasion in Markman hearings to specific strategies for patent holders and accused infringers in patent jury trials, Patently Persuasive focuses on research-based strategies for persuading juries and judges. 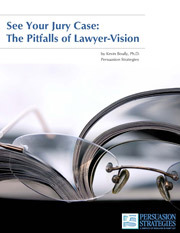 It is written from the perspective of jury researchers who have advised patent litigators on persuasion strategy and draws from empirical research and practical experience to provide specific advice and recommendations for preparing and presenting a more powerful patent case at trial. 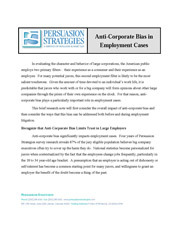 Patently Persuasive, with an expected publication date in Spring 2013, is a publication of the American Bar Association available on the ABA Web Store and Amazon.com. 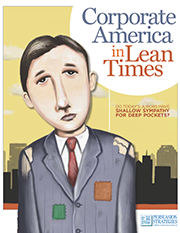 Corporate America in Lean Times: Do Today's Jurors Have Shallow Sympathy for Deep Pockets? 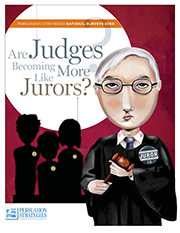 Are Judges Becoming More Like Jurors? 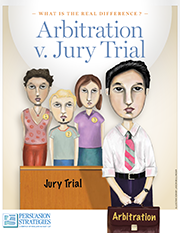 Turn Interruptions Into Opportunities: Oral Arguments Before a "Hot Bench"